Master faders are really very simple. They allow you to monitor the volume level of any given bus or output in your system. You’ll notice that while audio and aux tracks allow you to select an input and output per track, the master fader only allows you to select either a bus or an output. Once selected, the meter on the master fader will represent the combined signal of whatever bus or output you’re monitoring. Now, whenever you see the red clip light go off on your master fader, you know to bring the volume of the other tracks down. Master faders still have inserts. This allows you to process your entire mix through one series of plugins. This is a common place to use compression and limiting to bring up the overall volume of the mix without clipping. This is what most people use the master fader for. 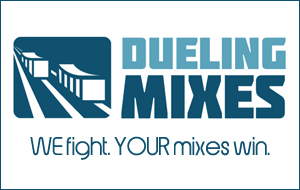 It allows you to check your levels and process your master mix. But is there more? Why even use a master track? Couldn’t an aux track do the same thing? There are two features that make the master track unique. While there’s no input to a master fader, there are also no sends. A master fader cannot be used to route signal. Think of it as the “last stop” for the audio. It’s the last thing to process the audio before it reaches its destination, whether that destination is an audio output or a bus. As I mentioned before, you can use plug-ins on a master fader. However, the master fader is unique. Inserts on audio, instrument, and aux tracks are pre-fader. This means that the plug-ins process the audio before it passes through the volume fader. Inserts on the master fader are post-fader. I’ll cover this more in-depth in the video below, but the main reason for having post-fader inserts (in my opinion) is for dither purposes. When you insert a dither plug-in on a master fader, you want the dither to stay at a constant volume. Let’s say you were to do a fade-out at the end of a song by bringing down the master fader. If the inserts were pre-fader, the dither would be turned down along with the audio. This isn’t ideal. On the flip-side, if you plan to do to a big fade at the end of the song, if you put a compressor on the master fader, it will be post-fader. This means that as the fader volume goes down, the amount of audio being sent to the compressor is attenuated as well. This will throw off the compressor, changing how much it compresses. This, in turn, will make your mix come “unglued” a bit as the track fades out. The best way to explain this is to simply show it to you. In this video I briefly describe each track type, and I show you several different uses for master faders. At the end you’ll see an additional use for master faders that most people don’t do, but it may help you keep your mixes from clipping internally (without you even knowing it! ).